Used in CM 12-21-3. Houses in Skopje, Yug./Macedonia, built by Protestants in USA (incl. 3 MDS men) after earthquake. 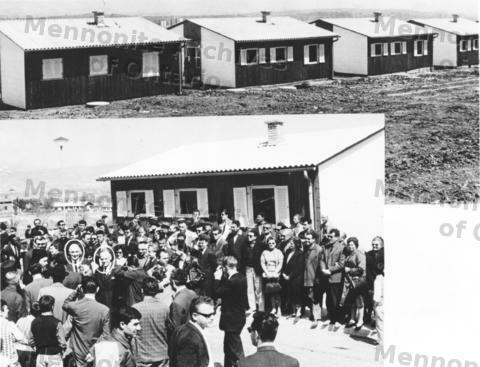 Two cirlced in photo of crowd in front of houses at dedication. Curt Regehr; C. Steffy; John Smucker, Ont.